What is it? A tool to add links so when readers hover over a photo they see links to video, audio, text, maps, retailers and more. How is it of use to journalists? Taggstar launched last month as a free tool to allow journalists and news sites add links to other content from photos. It is similar to ThingLink (a previous tool of the week for journalists), but, according to TechCrunch, Taggstar is focusing much of its attention on e-commerce opportunities and making images ‘shoppable’ so that readers can find links to buy a product or service. 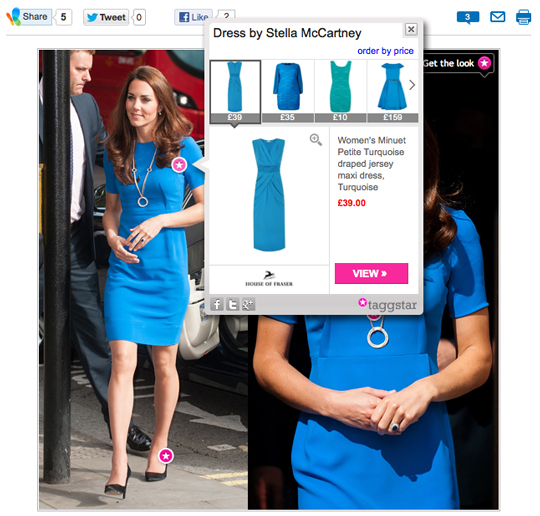 For example, see how MSN is using Taggstar to show where readers can buy dresses, shoes and a necklace similar to those worn by Kate Middleton. Not only can publishers make their image galleries ‘shoppable’, but Taggstar’s image search technology claims to be able to interrogate hundreds of thousands of product images from its network of over 200 retailers, and display the best results based on colour, pattern and style. It does this by relying on the tags that publishers add to their images when using Taggstar’s platform and by taking a visual swatch of the product being tagged. It then crawls through the XML feeds of retailers who have signed up to work with Taggstar and automatically delivers results by analysing those product images, as well as the related textual data. Publishers can add a revenue stream by using Taggstar, and, according to the Taggstar FAQs, there are “more monetisation features in the pipeline”. 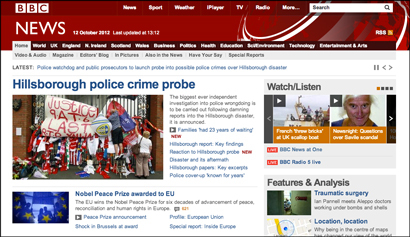 Publishers can also link to video, audio and other rich media sources. 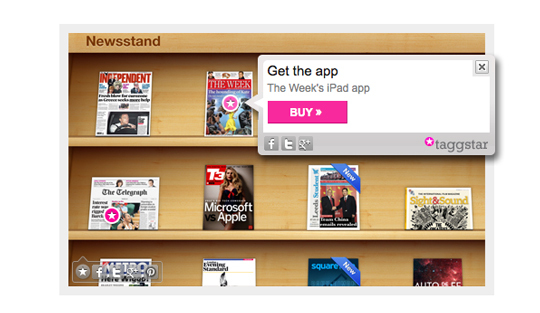 To test it out we added links to a photo of the Newsstand iPad app, linking to iTunes. Before tagging an image you will need to add some code to your site or blog or download a WordPress plugin. We tested it out using Tumblr. Taggstar explains exactly what you need to do. When logged into Taggstar you then right click any image on your site to easily add links. This entry was posted in Design and graphics, Tool of the Week and tagged journalism tool, taggstar on October 18, 2012 by Sarah Marshall. 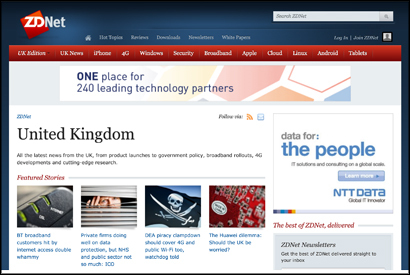 Business technology news website ZDNet not only has a responsive site which adapts to the size of the screen it is viewed on, but has a responsively designed CMS, which scales to fit the screen size with the aim of making it easy for journalists to file stories from a smartphone or tablet. The responsive CMS, which was developed internally, was introduced in July, Laura Jenner, product manager for CBS Interactive UK, which publishes ZDNet, said at today’s AOP Digital Publishing Summit. In the session, which focussed on user experience and responsive (or adaptive) design, Jenner argued the case for responsive design, saying it is is “much better for user interaction” than an ‘m.’ mobile site. And ease of using the site to download a white paper, for example, is key. Loyal users are key to building audience as they always have been. There are also business benefits of adaptive design, Jenner said, explaining that both users and search engines prefer using a responsively-designed site. “Adaptive design is Google’s recommended option,” Jenner added. 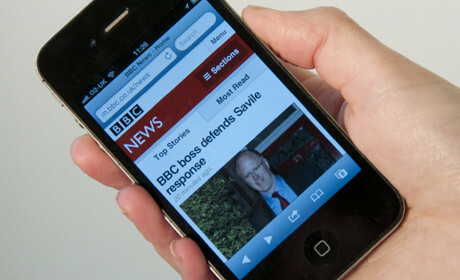 Responsive design may also reduce the need for native apps and therefore reduce overheads, she added. We are not forcing users onto another platform, they are already there. And we are providing a much better environment for advertising campaigns. Asked whether journalists need to adapt articles or headlines to fit mobile reading, Jenner said “we don’t tell [journalists] to write a headline that fits on mobile”, adding that she believes people don’t want a shorter version of the story on mobile but want the full article. In discussing development costs, she explained that responsive design is probably no cheaper as a one-off cost than developing native apps, but that the option is “far easier to iterate” and develop over time. This entry was posted in Design and graphics, Events, Mobile and tagged aopsummit, laura jenner, mobile journalism, responsive web design, zdnet on October 12, 2012 by Sarah Marshall. How is it of use to journalists? If you are a journalist who regularly uses Instagram to share photos, here is a tool that will allow you turn the images into a story. 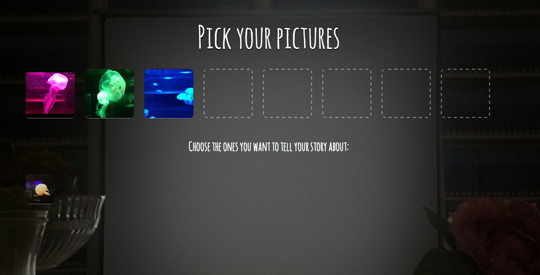 Go to the Story Wheel site, connect your Instagram account, click the pictures you want to use and then record audio, hitting the space bar every time you want the picture to change to the next in your selection. An audio slideshow takes just minutes to make and is a quicker option than using tools such as Soundslides. Although you can’t embed the audio slideshow, it does offer journalists a great way of telling a story around their images and sharing via social media. You can see examples of Instagram audio slideshows on the Story Wheel site. According to the Story Wheel site, the tool come out of a hack day. It was built using the SoundCloud api for the audio part and is now part of SoundCloud Labs. This entry was posted in Handy tools and technology, Tool of the Week and tagged audio slideshow, instagram, journalism tool, SoundCloud, story wheel on October 4, 2012 by Sarah Marshall. At today’s PPA Digital Publishing Conference, Paul Bradshaw, publisher of the Online Journalism Blog, visiting professor at City University, London, and course leader for the MA in Online Journalism at Birmingham City University, talked about data both in terms of data journalism and data analytics. He set out five principles of data management. Bradshaw said that whether the data is from analytics and used for commercial purposes, or whether it’s editorial data and you are doing an investigation, “the key thing is to have questions to ask” of the data. That should drive everything, rather than you being led by the data. Bradshaw is frequently told that data journalism is resource-intensive or a publishing company does not feel it has resources “to do data stuff”. But he argues that data saves time, does not have to cost money or rely on having a team of developers. He explained that people he has trained find they learn computer techniques to do things that they previously did manually. They might scrape websites very neatly into a spreadsheet, they may pull data from an analytics package into spreadsheet, they might visualise that dynamically – and that all saves time. You might prepare for a big event by having spreadsheets set up or feeds set up or triggers. He advises taking “a step back from that data” to find “the people that it is telling a story about”. He said that in the case of data journalism, that is about finding case studies; in the case of analytics you can use the data to create profiles or pictures of the people who are using your site. “If data is going to be useful it needs to have a point, people need to be able to do something with it,” Bradshaw said. People may share it socially, he explained. And it becomes “sticky” if it allows people to spend time exploring it. “Sometimes you are getting data passively and you are looking for stories in it, sometimes you are seeking out data because of the story or lead or question you have,” Bradshaw explained. And that comes back to his first point. “It’s really important to have questions” rather than to be “passively driven by the data”. And Bradshaw demonstrated how his principles make “a lot more sense” when you replace the word ‘data’ with ‘journalism’. Paul Bradshaw leads data journalism courses for Journalism.co.uk. The next course is on 5 December. There are details at this link. This entry was posted in Data, Events and tagged #ppadigital, analytics, Data journalism, Paul Bradshaw on September 26, 2012 by Sarah Marshall. 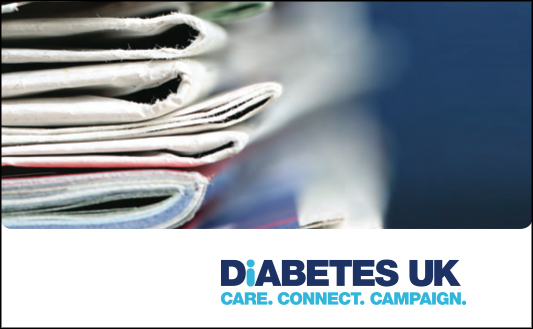 Diabetes UK has released a new guide aimed at helping journalists in their reporting on diabetes. According to a release, as well as offering information on diabetes, the guide “also looks at the role journalists can play in challenging misconceptions around the condition” and offers some reporting tips. Download the guide at this link. This entry was posted in Journalism, Training and tagged diabetes, health, Journalism on September 26, 2012 by Rachel Bartlett. Conde Nast has sold nearly 500,000 apps of Wired UK, GQ and Vanity Fair combined, Rupert Turnbull, publisher of Wired UK told today’s PPA Digital Publishing Conference. At first numbers were modest but as tablets have grown in popularity, app sales have increased, he explained. 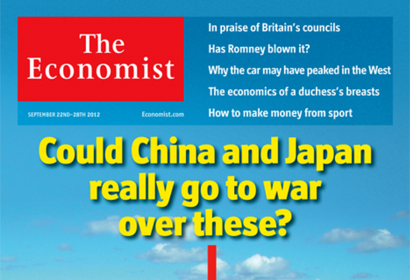 The publisher has sold 474,825 tablet editions of Wired UK, GQ and Vanity Fair. The number of downloads by print subscribers who read the app is not included in that figure. Turnbull said that 27 per cent of print subscribers have downloaded an iPad app edition, which is bundled into the print subscription. Turnbull said he expected the magazine not to work on a smartphone, adding that he thought “there’s no way” they could publish a “full magazine on a three-inch screen”. 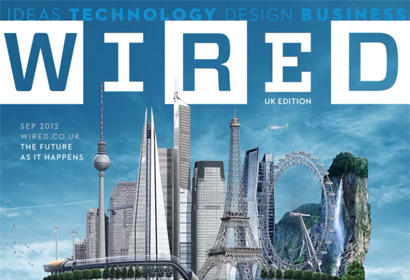 Research shows most users of the Wired UK iPad read in linear form. He also revealed some good news for advertising. When asked “are you more likely to skip past ads on the iPad edition?” 82 per cent of Wired app users disagreed. He also said that 59 per cent of Wired UK’s app users agreed that ads with good interactive content are just as enjoyable as editorial. This entry was posted in Events, Magazines, Mobile and tagged Conde Nast, ipad apps, magazine app, wired on September 26, 2012 by Sarah Marshall. 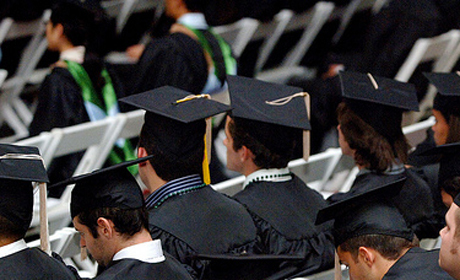 Image by Tulane Public Relations on Flickr. Some rights reserved. The chief executive of business-to-business publisher and events business Top Right Group, which was created in March after Emap split into three separate, autonomous divisions, said today that the company is re-focussing on its core business and investing in staff. The B2B publishing division retained the Emap name after the split, with the events division re-branded as i2i and the data business becoming 4C. Duncan Painter, who joined from BSkyB almost a year ago, told today’s PPA Digital Publishing Conference that the company aims to recruit 100 graduates a year to bring in new talent. The firm is also re-investing in training. “Emap was at its greatest when it had lots of small, focused businesses,” he said, explaining that the company is again focussing on its core business. When asked about the possibility of Top Right buying other businesses, Painter said he is not ruling out acquisitions, but favours launches. This entry was posted in Events and tagged #ppadigital, duncan painter, Emap, graduates, recruitment, top right on September 26, 2012 by Sarah Marshall.